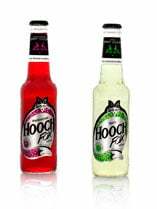 “There is a growing ready-to-drink culture in South Africa and we have given Hooch Fox a fresh new look as we believe the market is now ready to re-experience the cooler,” says Hooch brand manager, Jackie Cavernelis-Marais. The RTD category was the fastest-growing category of beverages in South Africa in 2012, according to Nielsen and Euromonitor International, and is valued at R6.8billion, equating to 10% of the market. Popular internationally since the 90s, this spirit cooler is made with real fruit juice and is available in five flavours: Blackcurrant, Apple, Mango, Strawberry and Ruby Grapefruit. The mango-flavoured version of the alcoholic fruit beverage contains mango fruit pulp, giving it a full, distinctive flavour and mouth feel. The redesigned RTD beverage now has an alcohol percentage of 4.5% and comes in a 275ml bottle. The label and new design, created by Creative Workshop, embrace the brand’s new independent, confident and fun image.